Step 2. 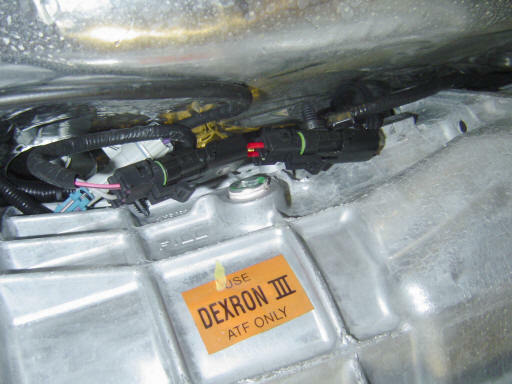 Underneath the driver's side of the transmission, locate the CAGS harness which is near the "Use Dextron III ATF Only" orange sticker. The factory CAGS harness has two wires - one is gray and the other is pink with a black stripe. Step 3. 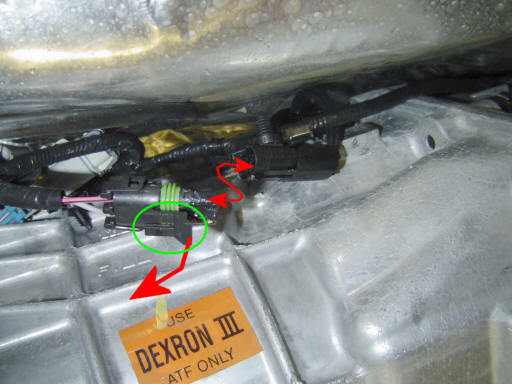 On the factory CAGS Eliminator harness male plug, lift up on the little clip (circled in green) by hand and disconnect the connector. Step 4. 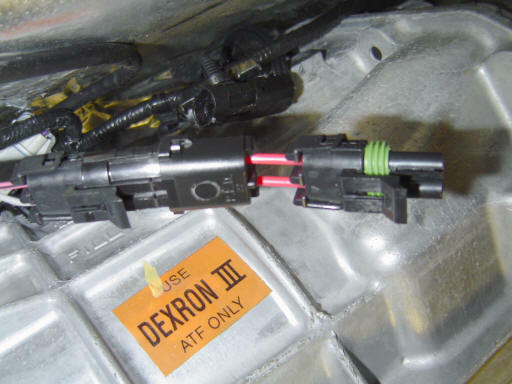 Simply plug in the !CAGS Eliminator in between the two factory connectors. Step 5. 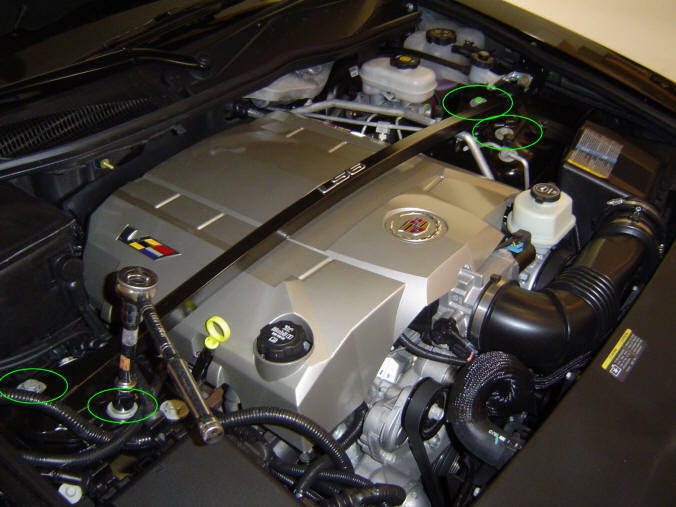 Safely lower the CTS-V and enjoy your new found shifting freedom!